Hey! 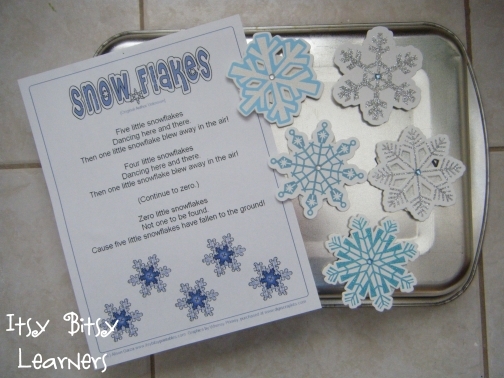 Today I am sharing a few ideas that I have implemented and some I have found on the big WWW to do with snowflakes! We started the day by checking the sky for snowflakes, but we had no luck! 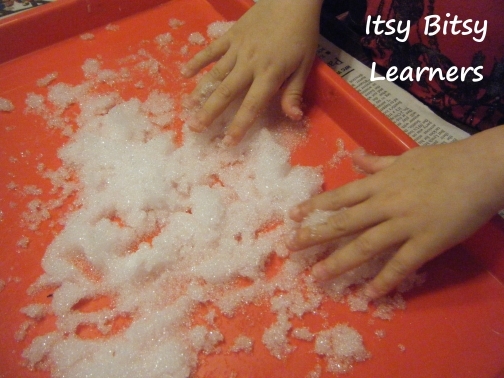 So I grabbed some leftover InstaSnow I had and we talked about how lots of individual snowflakes made the snow. 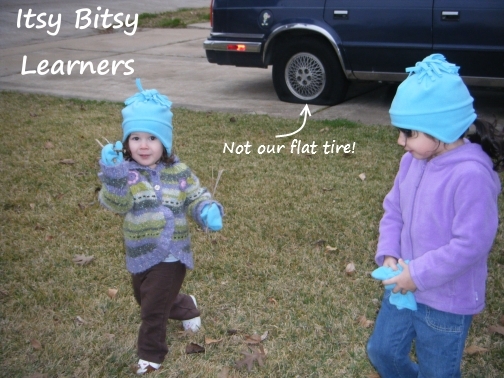 The girls love this stuff! 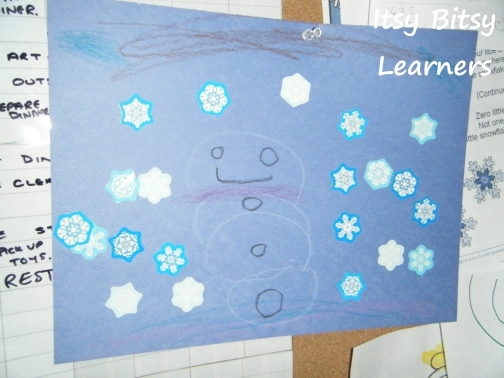 I found some pretty snowflake stickers and allowed my preschooler to practice her fine motor skills by peeling them off and sticking them on a blue piece of paper to create a winter scene. My PreK daughter, was encouraged to use her stickers to represent numbers zero to nine. 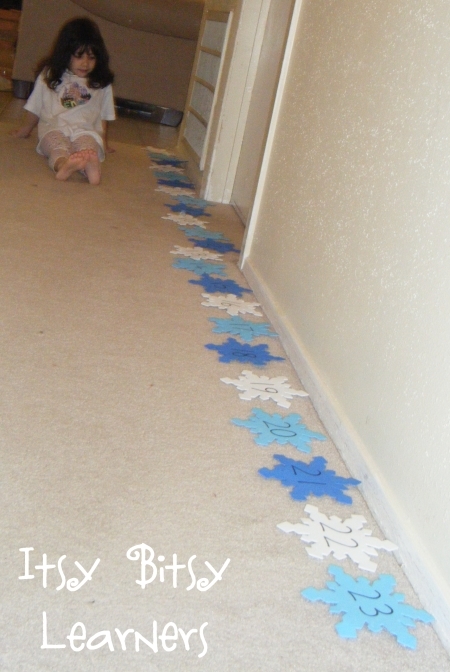 This would also work well with snowflake stampers! 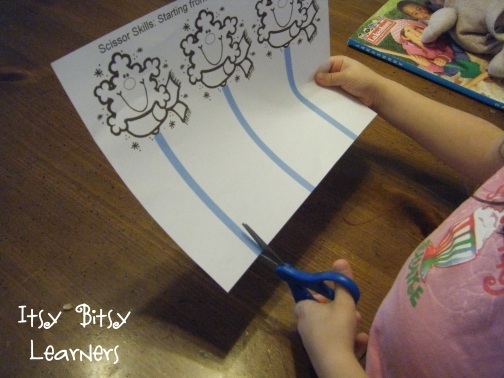 Missy Moo (PreK) then practiced her scissor skills using a printable from the Winter Preschool Literacy and Maths Pack. 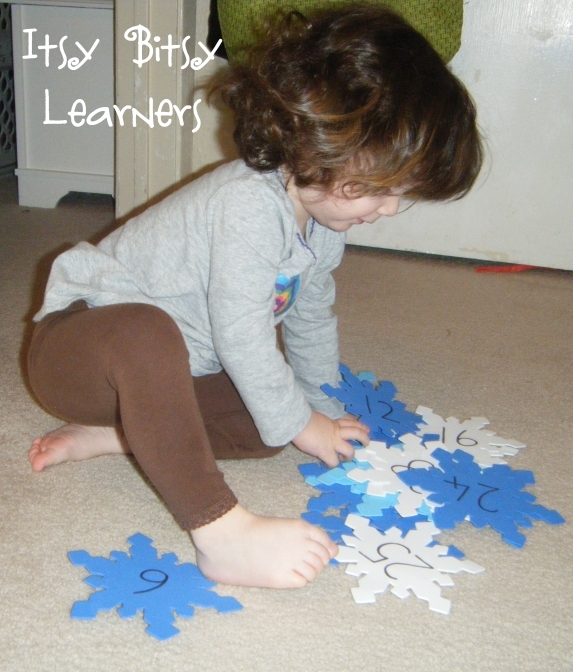 I then wrote numbers on foam snowflakes and Sopapilla and I explored numbers together. She prefered to pick up the snowflakes and have me say the number. Missy Moo then sequenced the numbers from one to twenty-five! 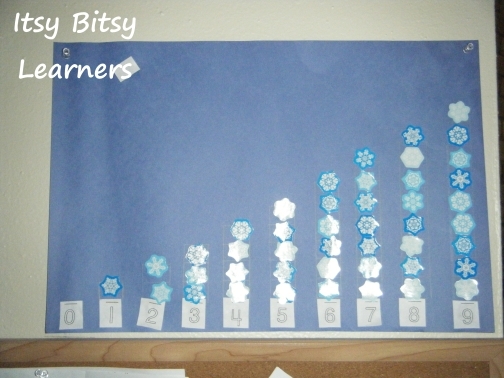 We then finished off the day using these wooden snowflakes (with magnets attached) to sing a counting song and practice early subtraction skills! !